A LEGO Set is a building kit that contains numerous bricks that can be assembled in a way to form an object, such as a plane or fortress. Sets in the Creator and Technic theme can usually be re-built using 'alternative instructions' to form a different model. LEGO also provides 'alternative instructions' for some sets on its website. All bricks are compatible with bricks of other sets, except for some acessory's such as alarm clocks and magnets. 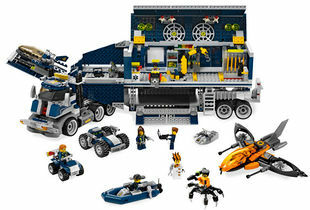 Most sets are categorized in themes like (e.g Orient Expedition or Star Wars). Here you can find a List of themes. LEGO sets are diversely priced, depending on the number of pieces and the number of minifigures. They can range in price from $4 (Collectible Minifigures) to over $400 (exclusives). In general for non-licensed themes (LEGO's in-house themes) the price is usually 10 cents/a brick, and for licensed themes (themes based on movies or video games) 13 cents/a brick. This page was last edited on 13 August 2016, at 21:47.